Virtual reality is the hottest topic of discussion within the tech fraternity. 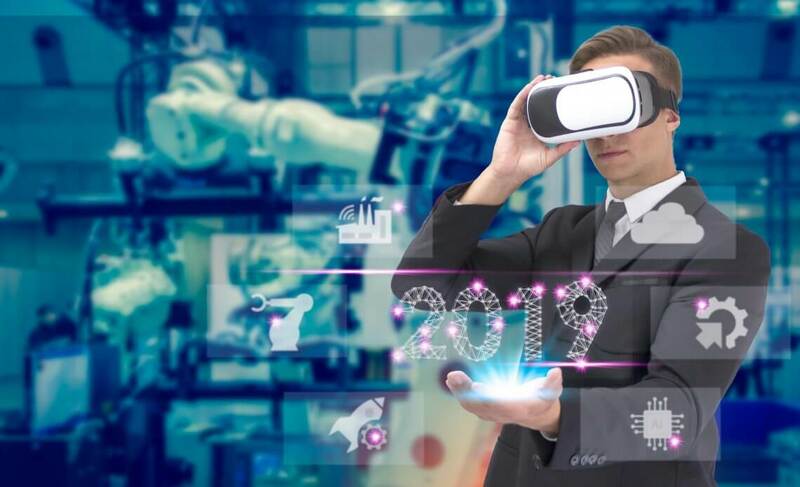 Virtual Reality has the potential to grow to billion dollars in coming years but many companies are still unsure about incorporating it into their business. VR also has to face challenges such as headsets being too expensive for general public and the lack of quality VR based content. With the extensive research and work being done, we will see many improvements in headsets in coming years. New features like wireless, super high resolutions the and eye tracking have a lot of unrealized potentials ready to change the virtual reality headsets in 2019. Eye-tracking can provide an experience like ‘foveated rendering’ which delivers visuals to your eye enhancing the details just like the functioning of the human eye. The feature will enable the users to see the extraordinary details directly right in front of their eyeballs with fewer details in the peripheral view. This is possible when the headset knows where exactly your eyes are pointed through eye-tracking hence making it an integral feature of the next gen headsets. We are really excited about the headsets in 2019 because of the higher resolution feature. Samsung Odyssey and Vive Pro have come up with high-resolution headsets where the feeling of seeing the virtual world through a screen door will be reduced. The resolution jump can be made affordable with foveated rendering which will enable the system architect to use less expensive graphic cards. Microsoft is taking a lead with this technology. It is observed that VR headset having inside-out tracking are comparatively low in pricing. But the main thing is the headset still requires expensive high powered PC which is connected by a cord to perform. Such headsets have cameras on them to view the world around to point out its accurate position thus increasing immersion and engagement. If the Virtual reality will keep growing and trending at the same pace as it is now, it is bound to reemerge as cutting-edge technology.